MG Motors has announced the international launch of the MG6, the first all new MG motor car since the launch of the MGF sports car. The MG6 is a sporting five seat fastback model, designed to capture the character of the MG brand and bring something different to the volume market. There is no word on the technical specs yet, but speculation has it that power will come from a 1.8L 4-cylinder making 133-hp and a peak torque 135 lb-ft. A turbocharged version will produce 160-hp and a maximum torque of 158 lb-ft. 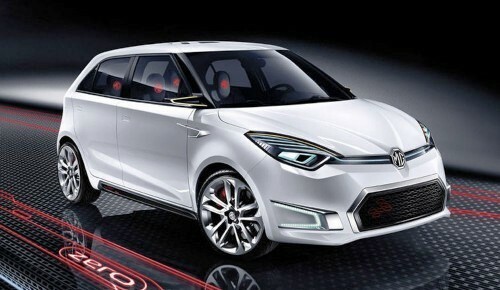 The new MG6 will enter production next month at a new MG plant in Lingang, China. The launch takes place at the Guangzhou Auto show in China and is the beginning of an exciting new global future for the MG brand. The launch in China, the world’s largest automotive market begins the international roll out of sales of MG6 which includes the UK. Sales in China will begin in January and plans for the UK and other markets will be released during 2010. 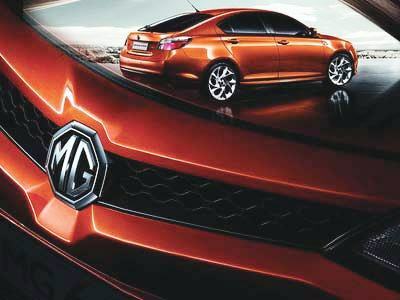 The MG6 proudly displays a new modernized version of the famous MG octagon badge for the first time. This new design is planned to carry forward on to all new MG models. This is the 1978 MGB chrome bumper conversion of Gene Lillie. He is almost complete on his 9 ½ year restoration program. He kept the frame and most of the body parts. All parts were ordered from on line catalog sales locations, no parts were from old cars found lying around. When replacing the exhaust system, he had a muffler made that fits in the wheel well to avoid dragging on the ground. The interior has been almost completely replaced, only the dashboard remains from when he first bought it. He enjoys showing it at local car shows and he often gets stopped by people to tell me how well the car looks.